Check out this hunka-hunka-burning-mule that is back in South Dakota! It's Emmett, who is a gorgeous pony mule. He has decided that he is smarter, faster, braver, and all around just better than everyone. So, back to South Dakota he has come to learn some manners and start driving training! 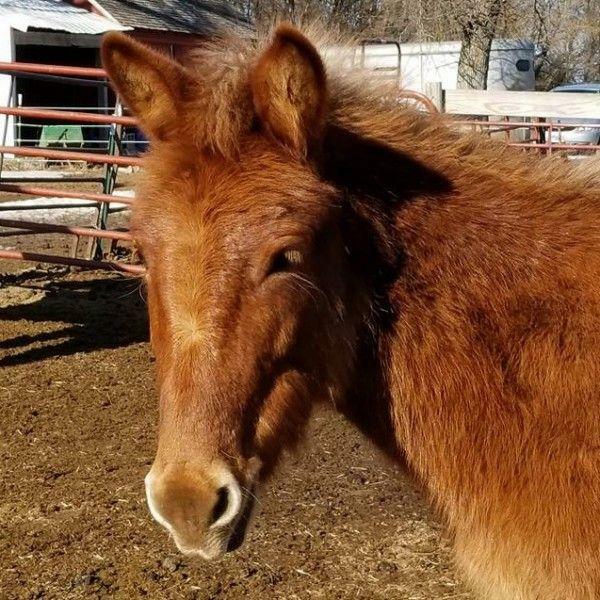 Emmett is available for adoption to a home with mule experience who will train him to drive or ride (weight appropriate, he is a pony mule). He will do best if he is trained and handled regularly or he'll start to remind you that he's smarter and faster and has a heck of good aim with his back feet (mules kick). He has yet to actually kick anyone - he's not mean - but he sure does let those feet fly if you don't have and KEEP his respect. He also will do best if he is not the strongest equine on the property. He does best with very strong horse or two that will keep him in line and remind him that he is NOT the boss. Since returning to South Dakota this hasn't been a big deal - he backs down to even our mini's now. Now, the good - he is a super sweet, lovable, smart, willing, eager to learn baby mule. 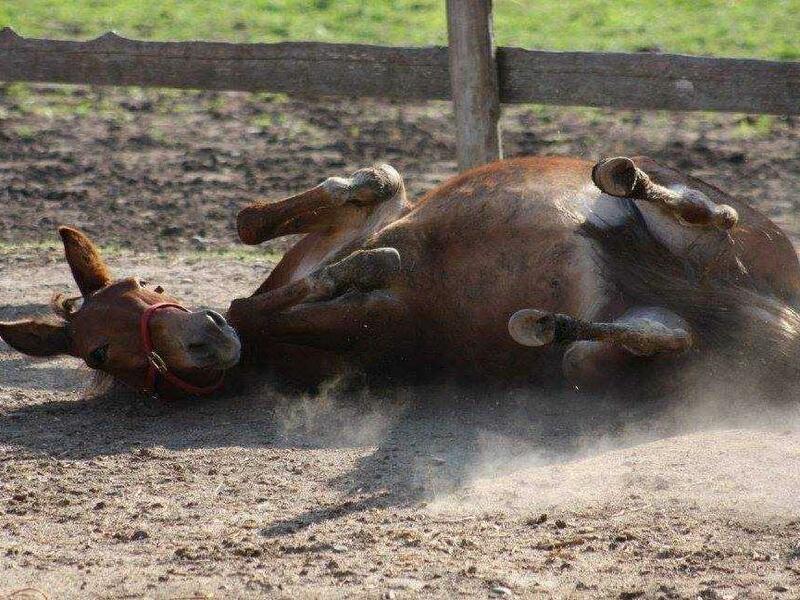 Mules are super naughty from 2-3; we expected it and are ready for it. He's beautiful and absolutely needs to be trained. Interested in adopting or sponsoring him? 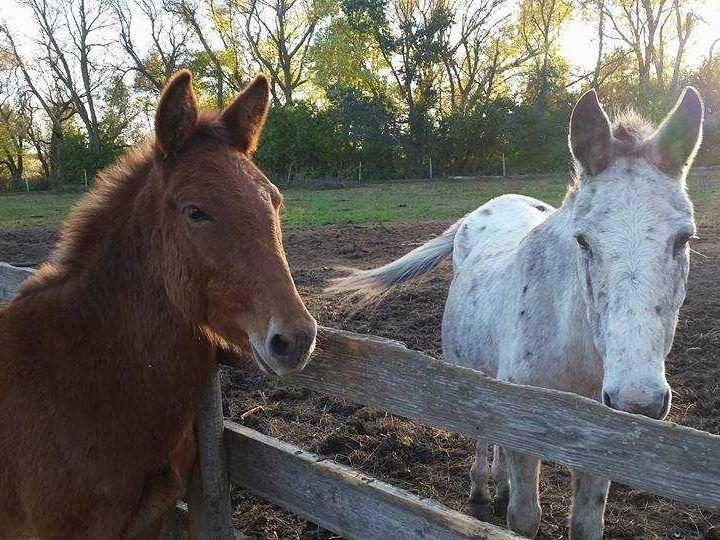 Are you a mule trainer willing to take him under your wing? Contact us! 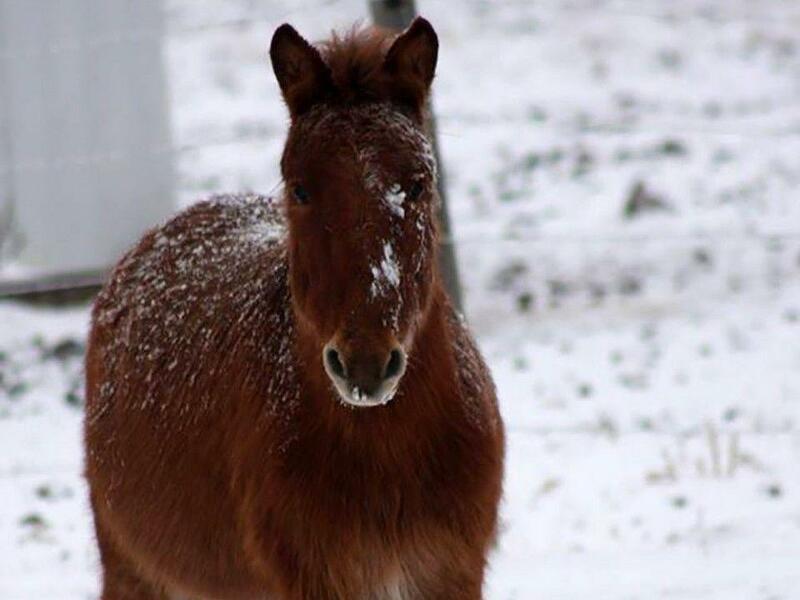 Emmett is a young pony mule who came from an Exotic Animal Auction with Punkin and Diesel. 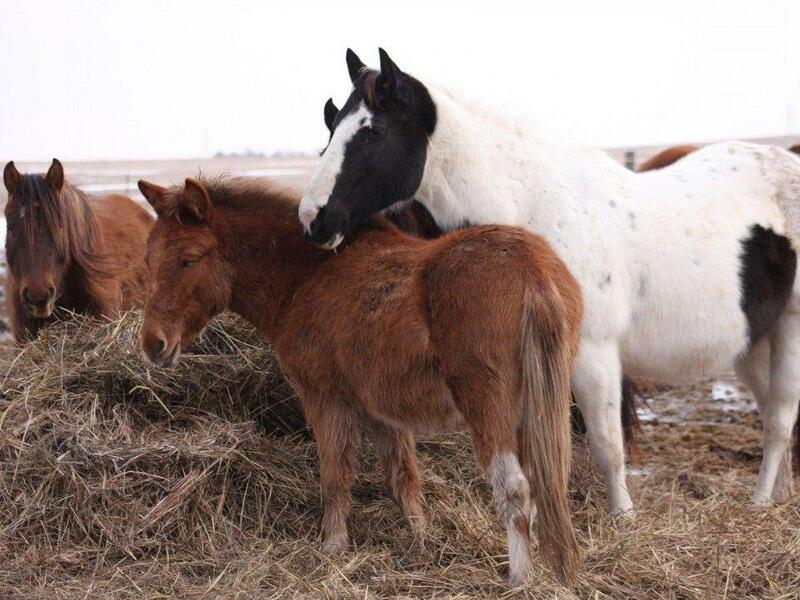 He was a terrified, unhandled, recently weaned baby when he came in - and though Punkin is not his mother he was caught nursing from her several times! In the short time he has been with us he has learned a ton - he now likes people and is easy to catch and seeks out attention and is halter broke. He's just a baby so he'll get to grow and continue to learn to like people. 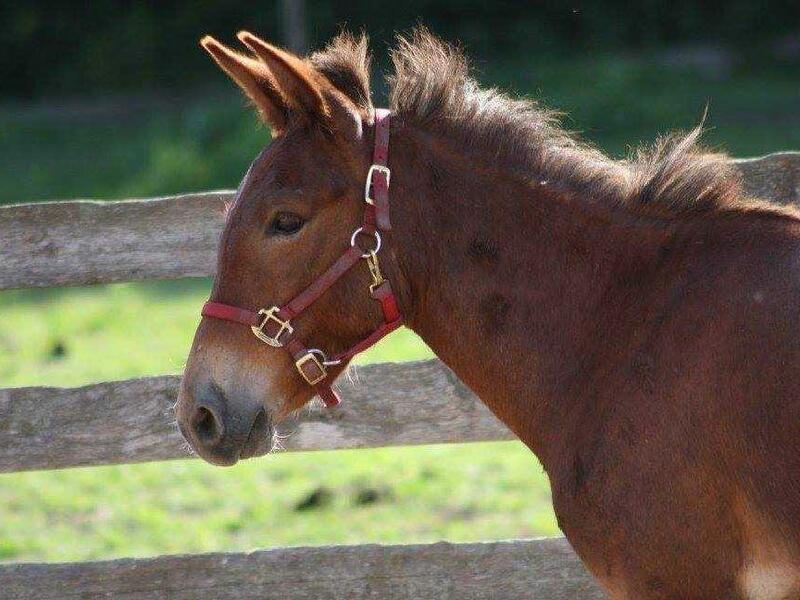 August 2015: Another mule, Gracie, has returned to GSH. She is a mule who has severe trust issues and is hard to catch, terrified of people, and potentially has some night vision problems. She's a great protector, however, and is slowly learning to trust the people of GSH. As it turns out, she needs to stay with GSH and we simply don't need two mules at this point. Since her need to stay is higher than Emmett's, and he's growing into a beautiful, smart, willing mule who could do just about anything - drive, pack, maybe even ride for smaller people - we are placing Emmett up for adoption. We will be very picky about where Emmett will go. He absolutely needs to go to a home who will regularly handle him and train him. He thrives on attention and learning and should not be looked at as just a protector to live in pasture and never be touched.